Last month at C2E2, Marvel was less than subtle in hinting that superpowered P.I. 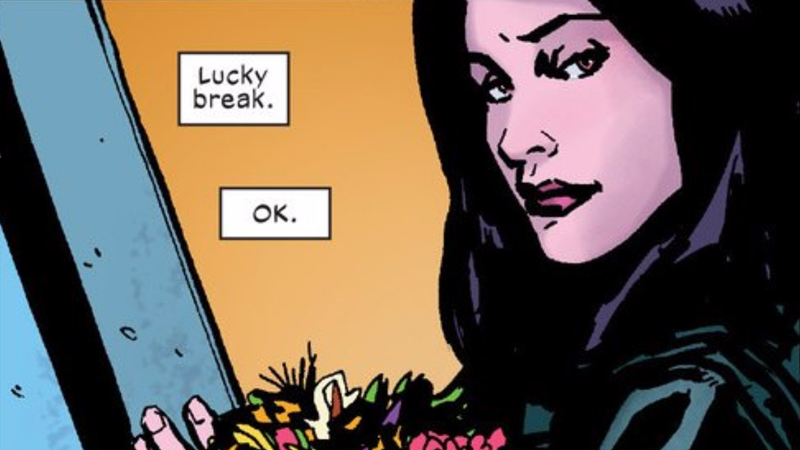 and Netflix star Jessica Jones would be getting her own solo series for the first time in ages. But it was all predicated on ifs and buts. And this weekend, Brian Michael Bendis confirmed that it’s definitely happening. This isn’t an official announcement, but I’ll tell you, in lieu of it—yes. After Civil War II you can look for a return. I genuinely think you’ll be surprised by what we do in the first issue. I pitched it actually to Melissa Rosenberg, who runs the TV show, at WonderCon and she said, ‘Really?’ But wait for the official announcement, because this is not it. While Bendis was hasty to clarify this wasn’t an official unveiling, it might as well be. The writer also noted that the original team on Alias, Jessica’s ground-breaking debut series, would return for the comic, with Bendis writing, Michael Gaydos on art, and David Mack returning for the series’ covers. And most interestingly, he confirmed that the new series is not based on or inspired by the Netflix show, or even Jessica’s most recent series, The Pulse, but is a direct sequel to Alias. Alias Investigations is back in business for real!